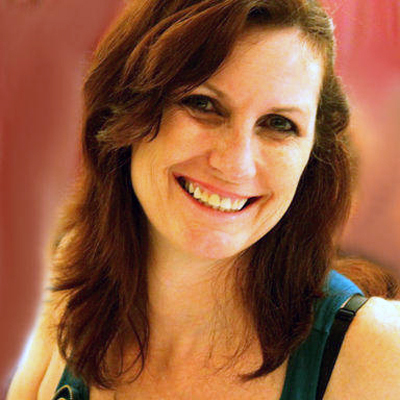 Pamela Marshall, LMT, is the sole proprietor of New Awakenings Massage. Unlike many Spa experiences (where there are multiple therapists), when you book with New Awakenings, you do so knowing that you will always see the same therapist. This makes for a better all-around experience for the client. Each appointment can build on the information gathered and physical response achieved from the previous session, resulting in a more positive outcome with each session. Your initial visit will include some paperwork and an “intake” where you will be asked about your health history and general lifestyle habits. Once we have established what your personal goals are for the session, treatment will begin. You will be given time to undress to your level of comfort. While most people become comfortable with no clothing or perhaps underwear only, it is most important that you feel relaxed and safe. You will ALWAYS be appropriately draped with a sheet and blankets are available if you feel cool. If you have an issue with clothing/draping, all efforts will be made to adjust the massage to suit your level of comfort. Once underway, Pam will try to create a dialog with you AND your body. Your feedback is encouraged both with your level of tolerance for pain/discomfort (both during and after the treatment), as well as any other symptoms you may have during the treatment. For Medical/Therapeutic Massage, you may be asked more questions as the treatment progresses that might help the therapist to get to the actual cause of the pain/injury. For a Relaxation Massage, you can choose to have silence or a relaxed conversation. The bottom line to remember is that this is YOUR massage and you have the right to be in control of what is comfortable for you. After the massage is over, you may be given some stretches, ergonomic advice, or other “homework” to help you to maintain the results achieved in the treatment. Limited appointment times are occasionally available on weekend and outside normal hours. We ask you to provide us with a minimum of twenty-four hours notice for changes to your appointment. If the need arises that you have to give us less than 24 hrs notice, you may be required to pay 50% of the scheduled fee. Less than 6 hrs notice may result in the full amount due. Skin Care Products – How do you feed the skin you are in?? I tried many of the massage therapists in the Hudson Valley over several years. Three years ago I notice Pamela’s sign on Albany Ave in Kingston and I was really glad I did. Pamela is my most trusted health professional. Her techniques never fail to amaze me. She is a genuine, caring, professional massage therapist who has a continually evolving and deep understanding of the human body. Pam Marshall is a Licensed Massage Therapist in Kingston, NY who specializes in working closely with her clients in Ulster County, Dutchess County, and throughout the Hudson Valley. © 2019 New Awakenings Massage. All Rights Reserved.